What is it like to work at Hayes? Hayes is a very spacious setting, with a large amount of indoor and outdoor space, meaning that it features one of our most exciting activities, the water park! 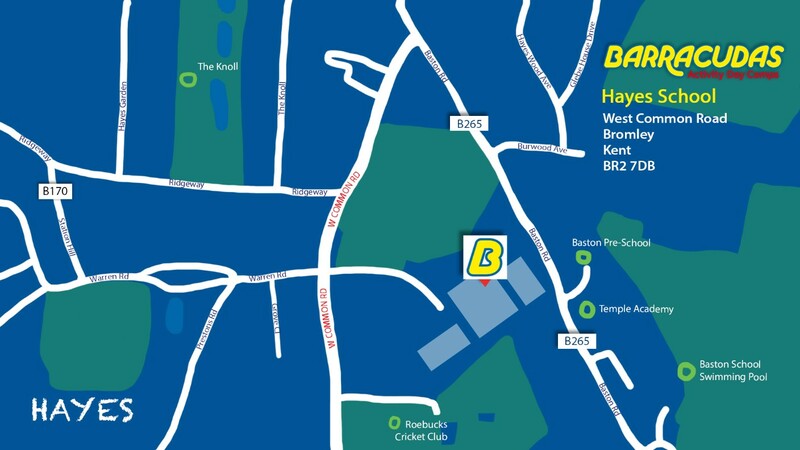 In terms of getting to work, Hayes has some of the best transport links out of all of our camps, with Hayes train station located just down the road. This provides train links to Lewisham and Charing Cross directly! Please Note: This camp is also close to our: Chislehurst, Croydon and Streatham & Clapham camps so if the role you’re looking for isn’t available, be sure to check those camps out too!